Filmed in Kingston Upon Thames, 29th April 2018, Format PAL 16:9, Region Free. Richard D. Hall presents 3 hours of lectures on a range of subjects. Over the last year he has been involved in investigating two very prominent UK assassinations. When the Jo Cox assassination occurred in June 2016, many questions were raised over the veracity of the official version of events. Many said the trial was staged, and preordained by the mainstream media. Richard has met with witnesses and with friends of the alleged perpetrator Tommy Mair. In this lecture Richard presents the findings of his investigation to date. He is appealing for viewers to go to their MP and show them his lecture on Jo Cox. Richard clearly demonstrates that the trial was at the very least a farce, and quite possibly 100% fraudulent. The second assassination investigated this year was that of Jill Dando. Richard has been to various locations and spoken with key people who knew Jill and he provides a compelling case for why the TV presenter was assassinated. This is all covered in his new film, "Kill Jill, The Dando Assassination Explained". 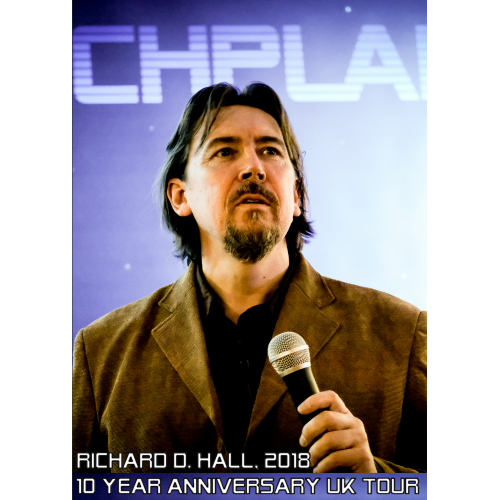 Richard also casts a critical eye over the 2017 Manchester Arena "Attack". In part two of the presentation the subject changes to that of space exploration. Not many of us spend too much time considering what is out there in space. But when you realise that the Earth is less than a speck of dust in the grand scheme of everything, it is surely important to find out what is out there. It might teach us more about ourselves and how we came to be in our present form. However the subject of "space exploration" is now very murky, it being difficult to know what is true about space exploration, what is lies and what may have been covered up. Richard attempts to shine a light on these 3 areas, the conclusions are staggering if you are somebody that merely buys into the paradigm sold to you by the likes of NASA and other official agencies.